Though there could be many other uses, here see a Metal Plate Pin-Up Hook For Lawn Flags as one application. 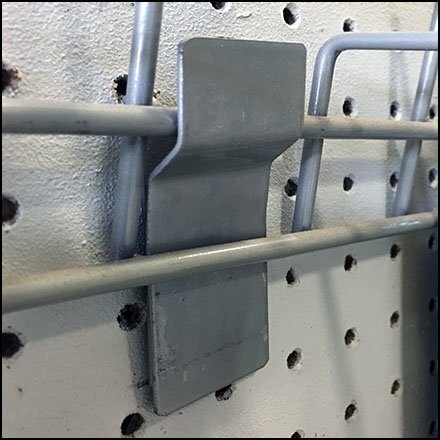 As Metal Plate they are far broader than conventional Pin-Up Hooks. The wide width could stabilize particular uses, though I will leave conceptualization of that use to you. If you come up with it, please email photos that FixturesCloseUp can share. Meanwhile consider the possibilities in the Metal Plate Pin-Up Hook For Lawn Flags gallery of images.